It’s a staple in our house–our go-to for lunches, snacks, and late-night munchies: peanut butter. What’s better than a peanut butter and jelly sandwich with a tall glass of cold milk? Or a Peanut Butter Banana Smoothie? Or my Peanut Butter Pie? But prices are going up on peanuts, and if you haven’t noticed it reflected in peanut butter prices yet, you will by the end of this month. Be on the lookout for store sales. Remember, here at Faithful Provisions, we list the store deals each week along with coupon matchups for Kroger, Publix, Target, Walmart, Aldi, Dollar General, Whole Foods, and Trader Joe’s. Gather coupons. Find coupons for peanut butter in my Coupon Database. Don’t forget to keep an eye out for store coupons and blinkies too. Each week, we let you know about the coupons coming up in the Sunday paper in our Sunday Coupon Preview. 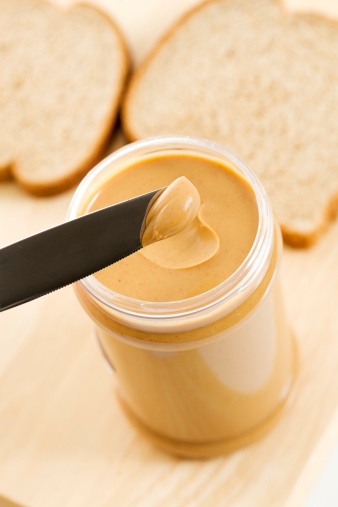 Are you brand loyal when it comes to peanut butter? What will you do to accommodate the higher peanut butter prices into your grocery budget? I usually get my organic peanut butter at Costco. Last time I was in there they didn’t have any at all. One of the employees said they’d stopped carrying it. Can anyone confirm this? I guess we’ll have to get used to the PB price hike just as we got used to more expensive gas… and more expensive food in general. This huge price hike should teach us a lesson: be more eco-conscious in our consumption habits in order to limit the impact of climate change on our food supply.